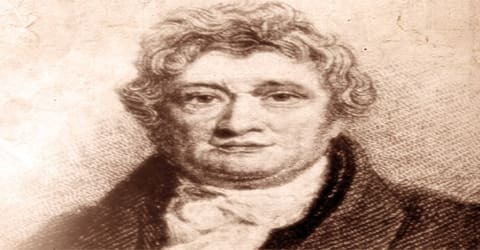 Thomas Clarkson – English abolitionist, and a leading campaigner. Thomas Clarkson was an English abolitionist, born on March 28, 1760, in Wisbech, Cambridgeshire, to a wealthy family. 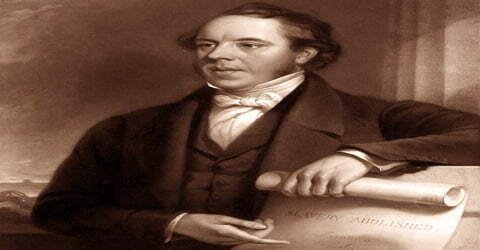 He was an English abolitionist and a leading campaigner against the slave trade in the British Empire. He helped found The Society for Effecting the Abolition of the Slave Trade (also known as the Society for the Abolition of the Slave Trade) and helped achieve passage of the Slave Trade Act of 1807, which ended British trade in slaves. Born in Cambridgeshire to a financially well-off family, he wanted to become a reverend like his father, John Clarkson, who was also the headmaster of the Wisbech Grammar School where Thomas began his schooling. An outstanding student, he graduated from St. John’s College, Cambridge. Following in his father’s footsteps he planned to join the Angelical Church and was ordained as a deacon, but he never proceeded to the priest’s orders. After participating in a Latin essay-writing competition, he believed he had a spiritual experience. The topic of the essay was ‘Anne liceat invitos in servitutem dare’ (Is it lawful to enslave the unconsenting?) and he won the competition. While researching for it, he learned about the hideous profession of the slave trade and the inhumane concept of slavery. In his later years, Clarkson campaigned for the abolition of slavery worldwide; it was then concentrated in the Americas. In 1840, he was the key speaker at the Anti-Slavery Society’s (today known as Anti-Slavery International) first conference in London, which campaigned to end slavery in other countries. 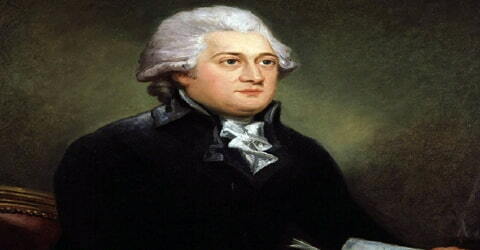 Thomas Clarkson was born on March 28, 1760, in Wisbech, Cambridgeshire, England to Rev. John Clarkson and Anne. John Clarkson was an Anglican priest and the headmaster at the Wisbech Grammar School. Thomas received his primary schooling from Wisbech Grammar School and went on to St. Paul’s School, London, in 1775. e did his undergraduate work at St John’s College, Cambridge, beginning in 1779. An excellent student, he appears to have enjoyed his time at university, although he was also a serious, devout man. He received his BA degree in 1783 and was set to continue at Cambridge to follow in his father’s footsteps and enter the Anglican Church. He was ordained a deacon but never proceeded to priest’s orders. Thomas Clarkson was an outstanding student and wanted to become a reverend like his father. He joined the Anglican Church to follow in his father’s footsteps and was ordained as a deacon. But he never proceeded to taking his holy orders. After participating in a Latin essay-writing competition, he believed he had a spiritual experience. The topic of the essay was ‘Is it lawful to enslave the unconsenting?’ and he won the competition. While researching the topic, he learned about the inhumane concept of slavery and the hideous practice of slave trading through Anthony Benezet’s book on the same topic. In 1796 Thomas Clarkson married Catherine Buck of Bury St Edmunds, Suffolk; their only child Thomas was born in 1796. They moved back to the south of England for the sake of Catherine’s health and settled at Bury St Edmunds from 1806 to 1816. Next, they lived at Playford Hall, located halfway between Ipswich and Woodbridge, Suffolk. It was at Cambridge in 1785 that Clarkson entered a Latin essay competition that was to set him on the course for most of the remainder of his life. The topic of the essay, set by university vice-chancellor Peter Peckard, was Anne liceat invitos in servitutem dare (“Is it lawful to enslave the unconsenting?”), and it led Clarkson to consider the question of the slave trade. He read everything he could on the subject, including the works of Anthony Benezet, a Quaker abolitionist, as well as firsthand accounts of the African slave trade such as Francis Moore’s Travels into the Interior Parts of Africa. Appalled and challenged by what he discovered, Clarkson changed his life. He also researched the topic by meeting and interviewing those who had personal experience of the slave trade and of slavery. In 1786, he translated his essay into a pamphlet in English for a wider audience and named it ‘An essay on the slavery and commerce of the human species, particularly Africa, translated from a Latin Dissertation’. The essay gained claim and importance and he soon met other leading campaigners against slave trade including James Ramsay, Granville Sharp, and other Nonconformists. From his new acquaintances, he came to know that a movement, initiated by the Quakers, against slavery had been gathering strength for years in 1783, a group of 300 Quakers had signed the first petition against the slave trade and presented it to the Parliament. In 1787, 12 men, including Thomas Clarkson, founded the Committee for Abolition of the African Slave Trade. Of the 12 members, nine were Quakers and the rest were Anglicans Clarkson being one of the three. Granville Sharp was elected as the Chairman. Thomas’ main role in the committee was gathering evidence against the trade, but as it was legal and highly profitable, he faced stern opposition when he tried to educate people about the evil practice. Liverpool was a major base of slave trading syndicates and home port for their ships. In 1787, Clarkson was attacked and nearly killed when visiting the city, as a gang of sailors was paid to assassinate him. He barely escaped with his life. Elsewhere, however, he gathered support. Clarkson’s speech at the collegiate church in Manchester (now Manchester Cathedral) on 28 October 1787 galvanized the anti-slavery campaign in the city. That same year, Clarkson published the pamphlet A Summary View of the Slave Trade and of the Probable Consequences of Its Abolition. His mission led him to the port at Bristol where the landlord of the Seven Stars Pub provided him with all the information he might need. On traveling further, he met two surgeons who had been on many voyages aboard slave ships. They recounted their experiences and this information too was used in the campaign. In his two years of evidence-gathering, he traveled over 35,000 miles on horseback and interviewed around 20,000 sailors. He also took numerous equipment (iron handcuffs, leg-shackles, branding irons, thumbscrews), that were used to capture and torture the slaves, as evidence. 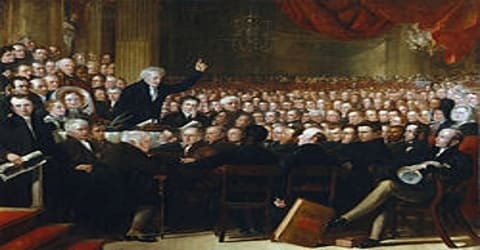 In 1791 Wilberforce introduced the first Bill to abolish the slave trade; it was easily defeated by 163 votes to 88. As Wilberforce continued to bring the issue of the slave trade before Parliament, Clarkson traveled and wrote anti-slavery works. Based on a plan of a slave ship he acquired in Portsmouth, he had an image drawn of slaves loaded on the slave ship Brookes; he published this in London in 1791, took the image with him on lectures, and provided it to Wilberforce with other anti-slave trade materials for use in parliament. 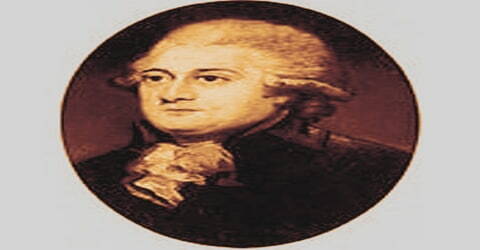 Thomas Clarkson retired from the campaign in 1794 due to his failing health but returned with full vigor and optimism in 1804 after the war ended. However, this time his major emphasis lay in lobbying MPs to support the parliamentary campaign. His efforts finally bore fruit with the passing of the Slave Trade Act in 1807. The Act also called on the British Navy to enforce and uphold this law. With this success, he took his campaigning to the rest of Europe. Passage of the Slave Trade Act in 1807 ended the trade and provided for British naval support to enforce the law. Clarkson directed his efforts toward enforcement and extending the campaign to the rest of Europe, as Spain and France continued to trade in their American colonies. The United States also prohibited international trade in 1807 and operated chiefly in the Caribbean to interdict illegal slave ships. In 1808 Clarkson published a book about the progress in the abolition of the slave trade. 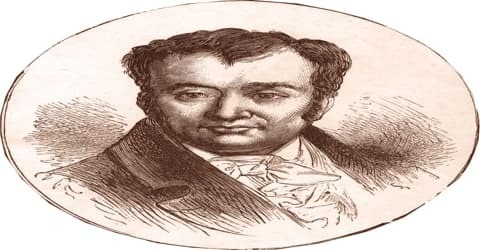 He traveled to Paris in 1814 and Aix-la-Chapelle in 1818, trying to reach international agreement on a timetable for the abolition of the trade. He contributed the article on the “Slave Trade” for Rees’s Cyclopædia, Vol. 33, 1816. In 1823, he helped in the establishment of the Society for Mitigation and Gradual Abolishment of Slavery. He traveled for over 10,000 miles and created linkages between the countless newly formed anti-slavery societies. His efforts didn’t go in vain as the parliament received 777 petitions for the total emancipation of the slaves. Owing to the public pressure, the Slavery Abolition Act was passed in 1833; it ordered for complete emancipation in the British colonies by 1838. In 1846 Clarkson was host to Frederick Douglass, an American former slave who had escaped to freedom in the North and became a prominent abolitionist, on his first visit to England. Douglass spoke at numerous meetings and attracted considerable attention and support. At risk after passage in the US of the Fugitive Slave Law of 1850, Douglass was grateful when British friends raised the money and negotiated the purchase of his freedom from his former master. In 1834, after the abolition of slavery in Jamaica, Free Villages were founded for the settlement of freedmen. The town of Clarksonville, named in his honor, was established in St. Ann, Jamaica. 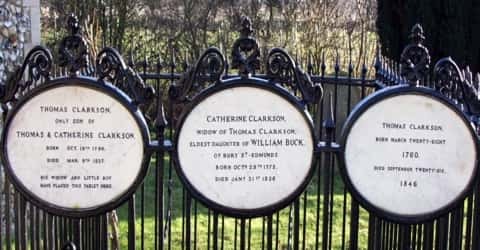 In July 2010, the Church of England Synod added Clarkson to the list of people to be honored in a “lesser festival” in the church calendar of saints; they are recognized on 30 July, the same day as William Wilberforce. An initial celebration was held in Playford Church on 30 July 2010. Thomas Clarkson passed away on September 26, 1846, in Playford, Suffolk, and he was buried in St. Mary’s Church. Thomas was not the only notable member of his family. His younger brother John Clarkson (1764-1828) at age 28 took a major part in organizing and coordinating the relocation of approximately 1200 Black Loyalists to Africa in early 1792. They were among the 3000 United States ex-slaves given their freedom by the British and granted land in Nova Scotia, Canada, after the American Revolutionary War. This group chose to go to the new colony of Sierra Leone founded by the British in West Africa, founding Freetown.